FAMILY OF BENJAMIN W. DAKE SR.
William was born on June 11, 1831 to parents Benjamin W. Dake Sr. and Sally M. Dake in Mt. Morris, Livingston Co., N.Y. In 1846 he was listed as a student in the Nunda Literary Institute. He married Rebecca N. Lowe on Dec. 24, 1852. (She was born in Livingston County, N.Y. on Aug. 13, 1833. Her fathers name was John H. Lowe who was originally from Livingston Co., NY. She died on March 19, 1910). He moved with his father and family, to Ogle Co., IL in 1854. The family settled in Marion Township on what was then known as the Morley Place. Between 1854 and 1856 he may have lived in Madison, Clarke Co., Iowa. A William W. Dake was listed in Madison, Iowa in 1856. In 1860 he was listed as living in Marion Township, Ogle Co., IL and had a hired hand by the name of William Sumnar. By 1870 he had moved to Section 7, Scott Township and purchased 125 acres for $6,500 (just north of Stillman Valley, IL). He later sold the unimproved land south of his land for $2,500 per acre. William and his family were Baptists. He held the office of Commissioner of Highways and School Director. William and his brother Daniel lived just outside of Stillman Valley on what was later to be named Dake Hill. All records indicate he was a farmer. In 1878 his father-in-law (John H. Lowe) was listed as living with William and his family. He died on Nov. 27, 1906 in Stillman Valley, Ogle Co., Ill. He is buried with his wife and daughters in the Stillman Valley Cemetery. Florence was born in 1856 in Ogle Co., IL to parents William W. Dake and Rebecca N. Lowe. She married William Dempsey who was a blacksmith in Stillman Valley, IL. In 1978, she and her husband were living in Neenah, WI. They had a child Ernest Dempsey in 1887 (he died in 1938). She died in 1929 in Stillman Valley, Ogle Co., IL. Libbie was born in1860 in Ogle Co., IL to parents William W. Dake and Rebecca N. Lowe. She married Marshall Shrope who worked at the Stillman Elevator in Stillman Valley, IL. (Marshall was born in 1855 and died in 1942). On Nov. 6, 1898 Marshall purchased Section 7, Ogle Co., IL from Daniel N. Dake. They had a daughter Jessie M. Shrope who was born on April 13, 1886 and died June 29, 1896. Libbie died in Stillman Valley, Ogle Co., IL in 1928. AHAHB. Benjamin W. Dake Jr.
LINK TO BENJAMIN W. DAKE JR.
Horace was born July 21, 1836 to parents Benjamin W. Dake, Sr. and Sally M. Dake in Mt. Morris, Livingston Co., N.Y. In 1846 he was listed as a student in the Nunda Literary Institute, Nunda, Livingston Co., NY. In 1854, he moved with his family to Ogle Co., IL. The family settled in Marion Township on what was then known as the Morley Place. On Sept 23, 1856 he married Lorain Noble at Ogle Co., IL. (She was listed as being born 1836, in Ohio). He moved back to New York to attended Union College and received an A.B. in 1857. He was listed in 1860 census as living in Poughkeepsie, Dutchess Co., NY. In Dec. 1860, he was back in Nunda and admitted as an Attorney and Counselor at law. He practiced law and started the Livingston Democrat newspaper which he sold in 1861. He purchased the Bennett house on Mill Street, Nunda in 1862. He practiced law until some time before 1864. In 1864 he was listed as living in Section 26, Marion Twp, Ogle Co, IL. with his brother Benjamin W. Dake. He was back in Nunda in 1865, practicing law but then left again for a period of time. Horace evidently served in the Civil War, as he was listed as a Confederate Prisioner of War (from possibly the 1st. VA Reserves), captured in May 1865. He was back in Nunda in 1866 and became the Justice of the Peace for that town. He sold his land in Ogle Co., IL to R. H. Harris some time before 1872 and moved again to Nunda, NY. He received a patent for a new type of fence design in 1873. He resumed his law practice in Nunda in Mar. 27, 1875. On Dec., 1877 he was injured, along with two others, when the Nunda Station stage coach overturned near Daniel Price's home. He was a businessman in addition to being a lawyer and tried many things during his career. He also was in the patent rights business. In 1879 he received a car load of buggies in Nunda and sold them for $110 each. He sold a double house on State Street in Nunda to Alva Lockwood, in 1879. He was listed in the 1880 census, living at Nunda Station, NY and still married to Loraine (age 44). They had a daughter Julia 21 years old (born in Illinois) and Jeannie 18 years (born in New York), old both away at school at this time. He became a Notary Public in 1882. In 1882, Horace also exhibited his patented fruit dryer at the Western New York Fair and took a silver metal. That year he also sold a house to a Mrs. Baylor. The people of the town expected him to move to Brookfield, MO after this sale, as he had business property in that town. However, in 1883, he purchased a building lot in Buffalo, NY and moved his family to that city. He then deserted his family, leaving his wife and two daughter in Buffalo. His first wife Lorain later filed a law suit and recovered $5,000 that he took from her, when he left her in Buffalo. He then moved to Brookfield, Linn Co., MO and married Rebecca Deodurff on June 3, 1886; however this marriage must have not lasted long. On March 15, 1888, he married Lida Litts at Deckinsonks Co., KS. (She was born March 1853 in PA. Her parents were also born in PA). In the 1900 census, Horace was living in Brookfield, MO, listed as a lawyer, with his wife Lydia Litts (stating they had been married 12 years). Her father was also living with them, Horace Litts (born Sept. 1829, age 70, in PA. Both of his parents were born in New Jersey). Horace was part of a law suit in Sept. 20, 1908 concerning some property in Brookfield and lost this land. In 1910 Census, Horace was still living in Brookfield and listed as a Real Estate Agent. He was 73, his wife Lida was 51, her father Horace Litts was 79, Lida's sister lived with them (she was 40 years old and born in PA). He died on Jan. 20, 1916 at Brookfield, Linn Co. MO. 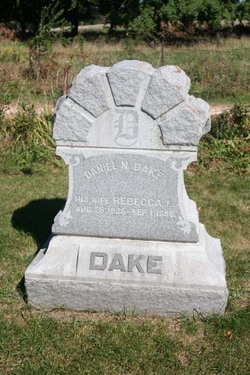 (A record of a tombstone to H.M. Dake was recorded in Oak Hill, Mt. Morris, Livingston Co., NY). Julia was born in 1859 at Ogle Co., IL to parents Horace M. Dake and Loraine (Noble) Dake. She lived in Buffalo, NY in 1883 with her family. Jeannie was born in 1862 at Ogle Co., IL to parents Horace M. Dake and Loraine (Noble) Dake. She lived in Buffalo, NY in 1883 with her family. Daniel was born in 1837 to parents Benjamin W. Dake Sr. and Sally M. Dake in Mt. Morris, Livingston Co., N.Y. In 1846 he was listed as a student at the Nunda Literary Institute. He moved to Ogle Co., IL with his father and family in 1854. The family settled in Marion Township on what was then known as the Morley Place. He was married on Jan. 3, 1856 in Marion, Ogle Co., Ill. to Rebecca L. Traxler. (She was born on Aug. 28, 1835, in Canada, the daughter of Peter Traxler (one of the oldest settlers in that area) and died on Sept. 1, 1898) "Taken from a photocopy of his marriage license " You are hereby authorized to celebrate and certify within this County, the marriage of Mr. Daniel Dake & wife Rebecca Traxler according to the law, the father of the said Daniel, a minor, consenting to the said marriage". He lived in Section 7, Scott Township on what was later known as Dake Hill (just north of Stillman Valley, IL). He farmed and built windmills for a living. He had a blacksmith shop where the current Junior H.S. is located. He and his son George were members of Band of Hope a Temperance League. On April 26, 1859 the Baptist Church & Society of Stillman Valley, Ill. was organized with B.W. Dake, Sally M. Dake and R.J. Dake listed as charter members. Additional names listed in the church records are: Horace Dake, Daniel Dake, Rebecca Dake, Lorain Dake, Benjamin Dake Jr., William W. Dake and Florence Dake. By 1878, he was living in Section 23, near Davis Junction. He moved to Mason City, Serrogordo Co., Iowa by 1893, selling his land to Marshall P. Shrope, prior to his wife's death. She is buried in the Kishwaukee, Winnebago Co., IL Cemetery. While the grave also has his name engraved, it is not known if he is also buried there. Charles was born in Scott, Ogle Co., IL on January 18, 1857 to parents Daniel N. Dake and Rebecca L. Traxler. 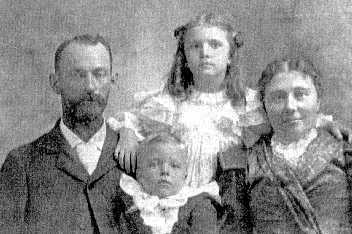 He married Ella May Meikle on June 22, 1887 in Mason City, Cerro Gordo, IA. (She was born in Pecatonia, Winnebago, IL on Feb. 7,1864. Her sister Hattie married Albert Wadsworth Harris, known as A.W. the founder of the Harris Bank in Chicago. Ella died in Paris France on Aug. 23, 1927). In 1900 he was living in Mason City, IA. Charles serviced as a Private in the 10th Illinois US Calvary, probably during WWI. Ella and Charles divorced and he married a second time to Orpha T. Campbell in 1914. Charles died in Los Angeles, CA on September 6, 1941. Elsie was born on Aug. 27, 1887 in Mason City, Cerro Gordo, IA to parents Charles Benjamin Dake and Ella May (Meikle) Dake. She married on June 13, 1914 to Floyd Bates at Mason City, Cerro Gordo, IA. They had two children: John Harris Bates and Robert Edward Bates. She died on August 15, 1935 at Kirkwood, St. Louis, MO. Eloise Dake was born on Oct. 4, 1891 at Mason City, Cerro Gordo,IA to parents Charles Benjamin Dake and Ella May (Meikle) Dake. She married on Feb. 4, 1922 to Blaine Simons at Sioux Falls, Minnehaha, South Dakota. They had children: Blaine Nels (born March 20, 1923) and Dorothy Marguerite Simons (who married Melvin Dean Heckt on Sept. 5, 1948 at Sioux Falls, SD). She died July 16, 1963 in Sioux Falls, SD. Charles was born on Oct. 28, 1894 to parents Charles B. Dake and Ella May (Meikle) Dake in Mason City, IA, where he grew up in "River City", the small town immortalized in Meredith Wilson's beloved "Music Man". 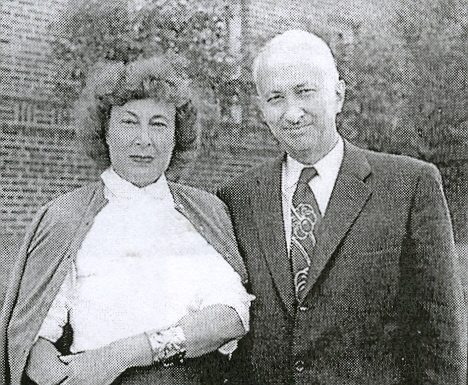 Wilson told Norman Dake in 1961 that he based his character of the Sunday School teacher on Norman's grandmother , Percy's mother Ella Dake. 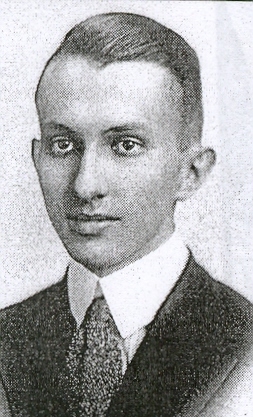 Percy attended the University of Chicago where he was a member of the Phi Kappa Psi faraternity. Because of heart problems, he could not serve in WWI, so instead he worked in Cedar Rapids, IA where he met and married Helen Elizabeth Safely (daughter of insurance man Robert I. Safely and Laura Clark Safely). The wedding on September 17, 1921 took place in the spacious Safely home. They had two sons, Charles Safely Dake and Norman Woodward Dake. Helen and Percy were divorced in 1927, and Percy headed back to Chicago. 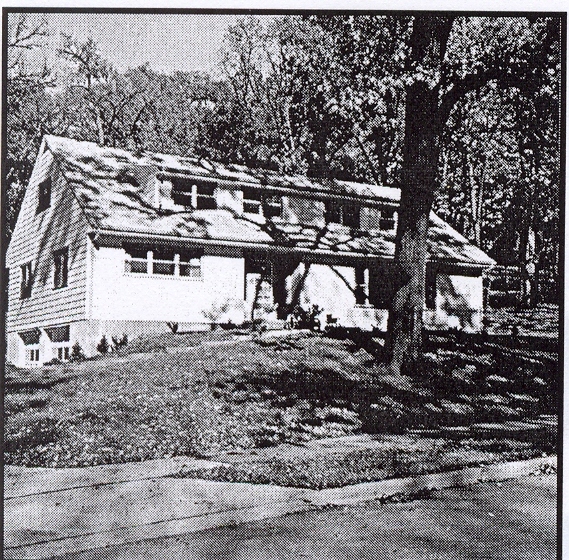 Helen continued living, in Cedar Rapids, IA where she died on December 18, 1969. Charles met Helen Hartzell and they were married on October 21, 1928 in Jackson, Jackson To., MO. When they applied for their marriage license, Helen stated she was living in Hudson, Lincoln Co., South Dakota and Charles stated he was from Chicago, Cook, IL. From then on Charles Percy was known as Charles. In 1930 they were living in Sioux City, IA where their son Hartzell Lincoln Dake was born. After living in the Chicago area, they moved to Washington D.C. During the term of President Eisenhower (1953-1961), Charles was a member of the Civil Liberities Commission on Civil Rights. He died March 1974 in Virginia. (Helen the 2nd as she called herself) died April 14, 1992. Rapids in 1942 before attending the University of Iowa and pledging the Delta Upsilon fraternity. He was drafted into the Army during WWII on July 3, 1943 when he was sent to the ASTP (Army Specialized Training Program). His program was based in Gainesville, FL where his busload of recruits were greeted with "Welcom to Gainesville, the only state university in the country with an all male campus". Within a few months President Roosevelt, placating Stalin's demands to open a 2nd front, closed down the ASTP program, throwing the brightest of the Greatest Generation into the infantry as cannon fodder in Europe. Norm fought in Patton's 3rd Army in the Battle of the Bulge, won a Bronze Star and ended the war as a Staff Sergeant in Plsen, Czechoslovakia. Upon returning to Cedar Rapids in 1946, he continued his education at the University of Iowa and in 1947 he transferred to the University of Michigan Law School, earning his JD in 1950. 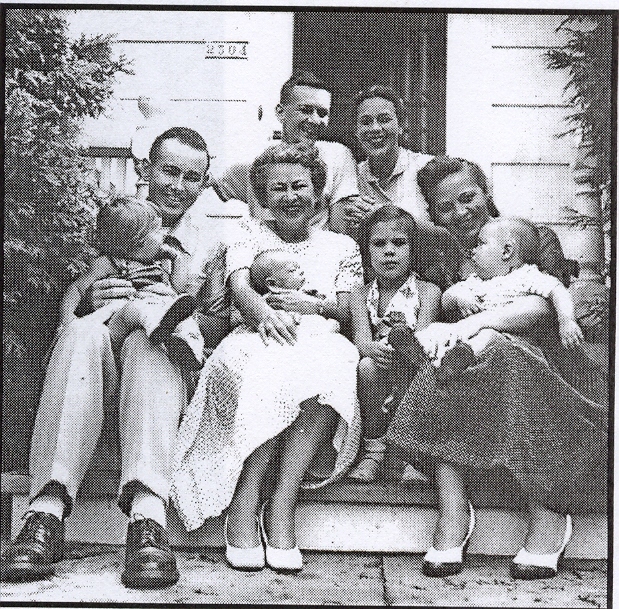 He married Elizabeth Josephine (B.Jo) Wilhelm on December 29, 1947 at Cedar Rapids, Linn, Iowa. Serendipitously, Norm's cousin Dort Simons met Norm's fraternity brother Mel Heckt at their wedding, and they were married the following September 5th. After graduation, they moved to Oakland, CA where Norm was employed at the Central Bank Trust Department. In the spring of 1953 the family moved back to Cedar Rapids, IA where Norm began working at his father-in-law's business, Metal Crafters. He later was to buy that business. The business was sold in 1979, Norm retired and he and B. Jo moved to Santa Barbara, California, where Norm worked in the trust department of the Bank of America. In 1985, Norm and B. Jo were amicably divorced and a few years later Norm moved back to Cedar Rapids, IA and then Kenwood, California and finally to Bend, Deschutes, Oregon where his younger daughter Joan lived. Between 1991 and 2001, Norman was a member of St. Patricks Episcopal Church in Kenwood, California. In the 1980's Norman worked as a host on a cruise ship line and then married Nila White on December 13, 2003. Norman died of pancreatic cancer on August 6, 2006 at Bend, Deschutes, Oregon. Elizabeth Ann Dake was born to parents Norman Woodward Dake and Elizabeth (Wilhelm) Dake on Sept. 3, 1949. Joan Adeline Dake was born to parents Norman Woodward Dake and Elizabeth (Wilhelm) Dake on Feb. 7, 1952 at Oakland, CA. Robert Allan Dake was born to parents Norman Woodward Dake and Elizabeth (Wilhelm) Dake on June 23, 1953 in Cedar Rapids, IA. AHAHDACBA. Charles Safely Dake Jr.
Charles was born on Nov. 11, 1952 at St. Paul, MN to parents Charles Safely Dake and Maragaret Lorraine (Zakariasen) Dake. In 1975 he graduated from Trinity College, in Deerfield, IL with a BA. In 1976 he was intern pastor at Elim Mission Church, Cokato, MN. He married Saharon Gail Houston on June 24, 1978. In 1979, he received his Masters in Divinity from Trinity Evangelical Divinity School. Between 1979 and 1985 he was pastor at Sanuaro Evangelical Free Church in Tucson, AZ. 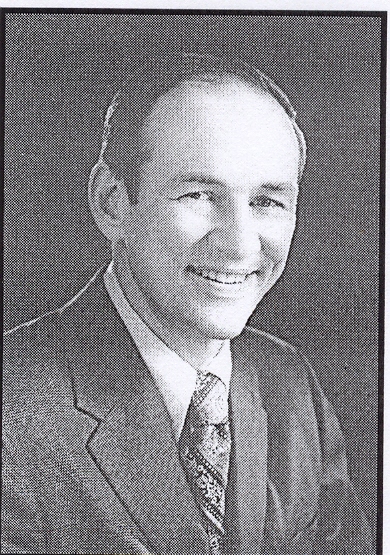 He was senior pastor of Sanuaro Evangelical Free Church in Tucson between 1983 and 1985. Between 1985 and 1990 he was Dean of Students, International Student Advisor at Trinity Evangelical Divinity School. In 1990 he became Senior Pastor at Glenview Evangelical Free Church in Glenview, IL. Scott Harris Dake was born on April 19, 1956 Minneapolis, MN to parents Charles Safely Dake and Maragaret Lorraine (Zakariasen) Dake. Hartzell Lincoln Dake was born on April 10, 1930 to parents Charles Percy Dake and Helen (Hartzell) Dake at Sioux City, IA. He attended the University of the South at Sewanee, TN for 2 years, then transferred to Denison University in Ohio and graduated in 1952. He served in the Navy in Japan during the Korean War. 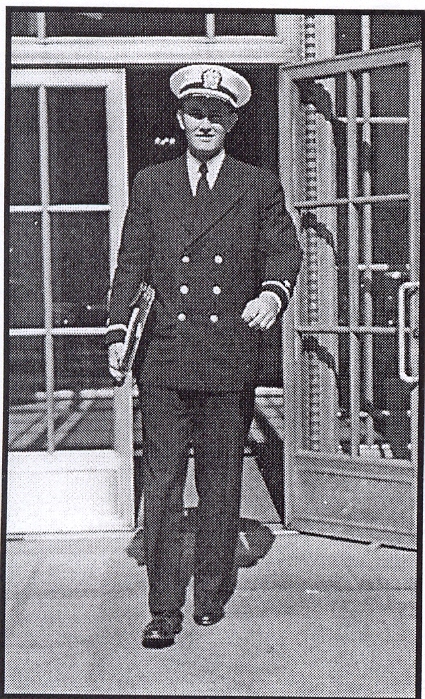 Naval Intelligence took him to Washington, D.C. until the late 1950's when he joined the Foreign Service. He was sent for two years to Chile and then to Japan, learning the language for the Cultural Affairs branch. When he was sent to Siagon around 1964 and saw what we were doing there, he quit the Foreign Service and went back to the Japan that he loved. There he opened the Executive Language Schools teaching English to Japanese Executives and Japanese to English-speaking executives, using the Berlitz technique. Japan remained his home. Harris was born on Oct. 16, 1899 in Iowa to parents Charles B. Dake and Ella May (Meikle) Dake at Mason City, Cerro Gordo, IA. He was married on June 20, 1933 at Cook Co., IL to Ruth Dahl Bruelheide. He lived for a period of time in Illinois. He died Sept. 3, 1973 at La Habra, Orange, California. Ruth was born on August 26, 1934 at Cook Co., IL to parents Harris Willsie Dake and Ruth (Bruelheide) Dake. She married Marlyn Gene Corless on April 19, 1955 in Cook Co., IL. Dorothy was born on July 28, 1902 in Mason City, Cerro Gordo, IA to parents Charles Benjamin Dake and Ella May Meikle. She was married on July 6, 1932 to Dr. John Doyle Littig. (He was born on Sept 15, 1902 at Flandreau, Moody, SD and Died on July 19, 1988 at Kalamazoo, MI). They had two sons: John Doyle Littig and Lawrence Littig. Dorothy died on Feb. 16, 1980 at Kalamazoo, MI. Clarence was born in Ogle Co., Ill. in Aug. 1860 to parents Daniel N. Dake and Rebecca L. Traxler. He married Elberta Wood on April 7, 1891 at Rockwell, Cerro Gordo Co., Iowa. (Rebecca was born in Wisconsin on Jan. 15, 1870 and died on Oct. 2, 1926 and is buried in San Gabriel Cemetery, San Gabriel, Calif.) In 1900 he was living in Cerro Gordo Co., Ia. Around the turn of the century he moved the family from Iowa to N. Dakota, then to Tenn. and then to Turkey, Ark. Clarence was a land developer and followed his opportunities to these locations. At one time he moved to Blythe, Calif. with the family (around 1920). Clarence and Elberta stayed there and Traxler and his family moved back to Arkansas. After Elberta died of breast cancer in 1926, Clarence moved back to Arkansas to live on the family farm until he died. He died in 1936 or 1937, at Turkey, Marion Co., Ark. Traxler was born Feb. 7, 1895 in Mason City, Cerro Gordo Co., Iowa to parents Clarence M. Dake and Elberta Wood Dake. He was married on Aug. 27, 1919 to Bessie Adeline Godfrey at Yellville, Arkansas. (She died in 1988). About 1938 or 1939, his family suffering in the Depression, parked up his family and drove to Yakima, Washington where the family grew up. He died of Hodgkin's disease on July 17, 1943 in a VA Hospital at Portland, Organ. He is buried in Georges Creek Cemetary, Yellville, Ark. Clarence was born on Dec. 28, 1922 in Blythe, Riverside, Calif. to parents Traxler Dake and Bessie Adeline Godfrey Dake. He was married on June 14, 1952 in Okanogan, Wa. to Betty Jean Jessup. He goes by the nickname "Michael or Mike". He currently lives in Arvin Calif.
Stephen was born to parents Clarence M. Dake and Betty Jean Jessup Dake. He is a partner with the law offices of Borton, Petrini and Conron in Bakersfield, CA where he is a general corporate adviser to directors and officers, and provides tax and estate planning strategy to clients throughout California. He is a director of the Bakersfield Museum of Art and has been active with the Boy Scouts. Debra was born to parents Clarence M. Dake and Betty Jean Jessup Dake. Gregory was born to parents Clarence M. Dake and Betty Jean Jessup Dake. Charles was born on Dec. 9, 1928 in Turkey, Marion Co. Ark. to parents Traxler Dake and Bessie Adeline Godfrey Dake. He was married on Oct. 9, 1954 at the Presb. Church in Nachez, Wa. to Janice Erlene Northcott (she was born April 9, 1933). Charles is a Veterinarian in Ontario, Oregon. Erlene is a retired Registered Nurse. Michael was born on June 4, 1956 at Ashuya Air Force Base, Ashuya, Japan. He was married to Isabelle Mary Ferris on Oct. 16, 1982 at Calvary Baptist Church, Lafayette, Contra Costa Co., Calif. (She was born March 7, 1957 in Plainfield, N.Y. In Jan. 1984 the family moved from Calif. to Boise, Id. and from Boise to Nampa, Id. in 1986. Mike works at Micron Technology in Boise, Id. Courtney was born on Sept. 5, 1985 at Boise, Ada Co., Idaho to parents Michael T. Dake and Isabelle (Ferris) Dake. In 5th grade at Lincoln Elementary School and in her 6th year of ballet/tap dance at the Anita Kennedy School of Dance (1995). Shannon was born on July 16, 1989 at Boise, Ada Co., Idaho to parents Michael T. Dake and Isabelle (Ferris) Dake. She is going into 1st grade and in her 2nd year of ballet/tap dance lessons at Anita Kennedy's School of Dance (1995). Tamara was born on Oct. 7, 1958 in Ontario, Oregan to parents Charles D. Dake and Janice Erlene Northcott Dake. She lives in Boise, Idaho and work for Micron Technology in Boise, Id. She moved back to Boise, Idaho from Fairbanks, Alaska in 1994 after spending 2 years there. Michelle was born on Feb. 14, 1962 in Ontario, Oregon to parents Charles D. Dake and Janice Erlene Northcott Dake. On Aug. 1, 1987 she married Kai Derek Ogston at Ontario, Oregon. (He was born in Pittsburgh, Pa. in 1960. He works as a engineer/co-pilot for an airline. They lived in South Dakota for a few years before building a home in Spokane, WA. Michelle works for a bank in Spokane, WA. Don was born on Oct. 3, 1930 in Turkey, Marion Co., Ark. to parents Traxler Dake and Bessie Adeline Godfrey Dake. He married in Bellingham, WA to Myrna Dahl. Currently lives in Alamo, Calif.
Lisa was born to Don O. Dake and Mryna Dahl Dake. Nini was born to Don O. Dake and Mryna Dahl Dake. Shane was born on May 15, 1971 to Don O. Dake and Mryna Dahl Dake. He died on May 21, 1999. Mary was born on Oct. 11, 1924 in Blythe, Riverside, Calif. to parents Traxler Dake and Bessie Adeline Godfrey Dake. She married in Yakima, Wa. to Orlo A. Nye. They have children: Gail and Glenda Nye. They currently live in Yakima, Wa. Betty was born on March 1, 1927 in Turkey, Marion Co., Arkansas to parents Traxler Dake and Bessie Adeline Godfrey Dake. She married on June 5, 1946 to Daniel Lewis Stuart in Yakima, Wa. She worked for Rogers & Company Real Estate as an agent for 43 years. They had children: Daniel, Jon, Melissa, Michaleen, and Donald. She died on March 14, 2001 at Los Gatos Community Hospital, Saratoga, CA. Longtime Saratoga resident Betty Jean Stuart died of cancer on Feb. 14, at Los Gatos Community Hospital. She was 73. Born March 1, 1927, in Arkansas, Stuart lived in Saratoga for 43 years and worked as a real estate agent for 34 years. Her last employer was Rogers & Co.
Stuart was preceded in death by her daughter, Melissa Stuart-McKinney. Survivors include husband Daniel L. Stuart of Saratoga; children Dan Stuart of Pleasant Grove, Utah, Michaeleen Mucha of Big Bear Lake, Don Stuart of Campbell, Jon Stuart of San Jose and Tim Hayes of Morgan Hill; 17 grandchildren; six great-grandchildren; brothers Michael Dake of Arvin, Charles Dake of Ontario, Ore., and Don Olson Dake of Angels Camp; sister Mary Nye of Yakima, Wash.; and many nieces and nephews. Memorial services have been held. Donations may be made to the American Cancer Society, 1715 S. Bascom Ave., Suite 100, Campbell, 95008-0607. Athelyne was born on Jan. 10, 1921 in Turkey, Marion Co., Ark. to parents Traxler Dake and Bessie Adeline Godfrey Dake. She married Raymon E. Lee in Yakima, Wa. They had children: Ronnie, Robert, Jeannie (now deceased from cancer at the age of 45 @ 1990), twins (Charlie & David), Doug and Teresa. They currently live in Yakima, Wa. Dorothy was born on March 18, 1937 in Turkey, Arkansas to parents Traxler Dake and Bessie Adeline Godfrey Dake. She married William Sutton. In April 1995, she died of cancer. She had cancer for over 15 years with two remissions. They had children: Cathy, Mary and Brian. The family lived in Orcus Island, WA., before her death. June was born in 1935 to parents Traxler Dake and Bessie Adeline Godfrey Dake. She died of pneumonia about 1936 or 1937 as an infant. George was born on Nov. 2, 1869 in Davis Junction, Ogle Co., Ill. to parents Daniel N. Dake and Rebecca L. Traxler. He married Laura Charlotte Case. She died in 1936 and he remarried Carrie E. (?). Neither marriage bore any children. He was the mayor of San Gabriel, Calif. from Dec. 15, 1914 until 1923. He owned a tavern but his occupation was listed as a mechanic at an auto garage. He died on March 12, 1946 at San Gabriel, Calif. at the age of 76. Sally was born to parents Benjamin W. Dake Sr. and Sally M. Dake in Ogle Co., Ill. (date unknown). She married Charles Michael in Ogle Co., Ill. Her place and date of death is unknown, but at the time of her fathers death she was listed as living in Brooksgrove, Livingston Co., N.Y.
Mary was born to parents Benjamin W. Dake Sr. and Sally M. Dake in Ogle Co., Ill. (date unknown). She married a Chester E. Howe. It is not known what became of Mary or her husband but their son (Eugene C. Howe) was living with Benjamin W. Dake Sr. and his wife at the time of Benjamin's death. Abbey was born to parents Benjamin W. Dake Sr. and Sally M. Dake in Ogle Co., Ill. (date unknown). She married Peter Carter. The place and date of her death is unknown.